Jet Sparkling Water Maker Starter Kit Just $49.99! Down From $80! PLUS FREE Shipping! You are here: Home / Great Deals / Amazon Deals / Jet Sparkling Water Maker Starter Kit Just $49.99! Down From $80! PLUS FREE Shipping! Jet Sparkling Water Maker Starter Kit in now on sale at Amazon for just $49.99 down from $79.99 PLUS FREE shipping! 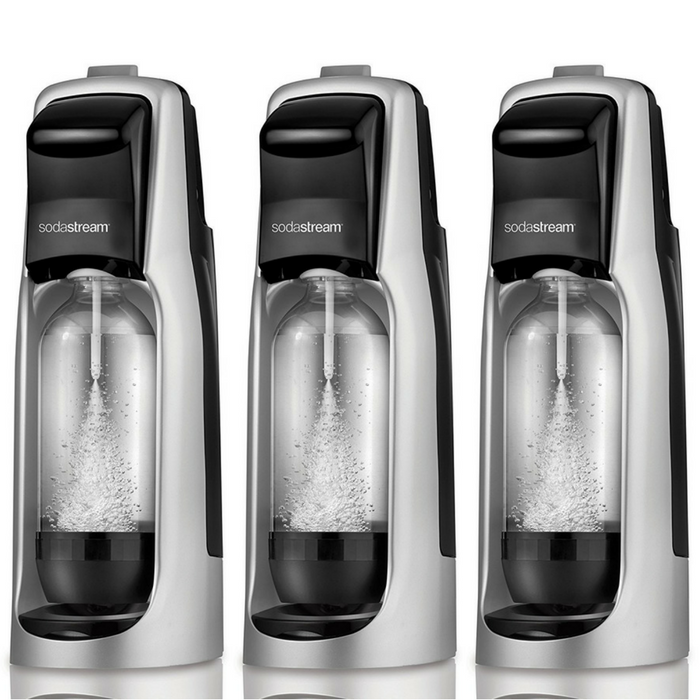 The Sodastream Jet is perfect for the sparkling water drinker who carbonates frequently and values convenience. This is the only machine that is compatible with the 60L CO2 cylinder and the 130L CO2 cylinder, allowing the consumer to maximize their carbonation capabilities. Simply twist and lock the bottle into the machine, and carbonate by pumping the textured push button control. This kit includes everything you need to make fresh sparkling water in your own home.